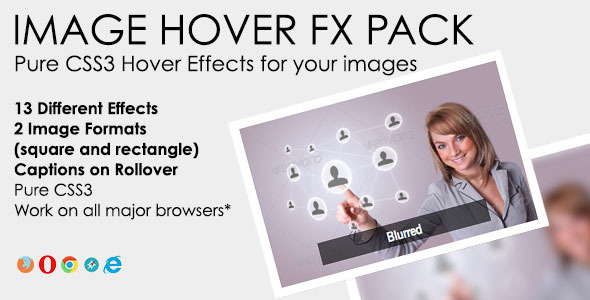 Image Hover Effects Created by luca8link. This templates have specific characteristics, namely: A collection of beautiful, pure CSS effects that will help you giving a special touch to your photos in few . You can use this Image Hover Effects on Css category for blackwhite, blurred, brightened, effect, fx, hover, image, inverted, move, rotate, rounded, saturated, sepia, zoom and another uses. A collection of beautiful, pure CSS effects that will help you giving a special touch to your photos in few seconds. Note: Some webkit effects (sepia, blur, invert, saturation) work on webkit browsers only.